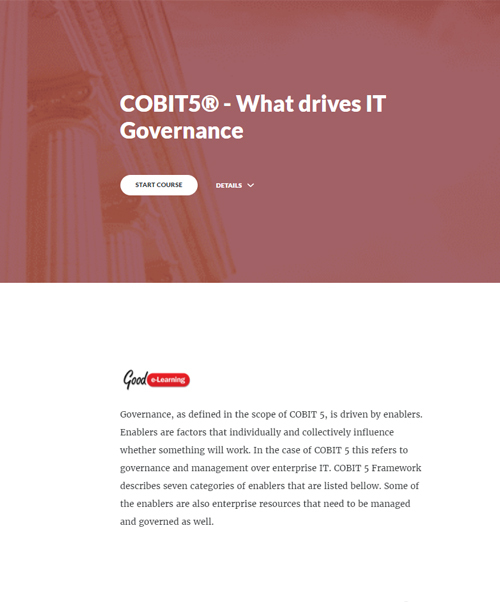 COBIT 5: What drives IT Governance? Governance, as defined in the scope of COBIT 5, is driven by enablers. Enablers are factors that individually and collectively influence whether something will work. In the case of COBIT 5 this refers to governance and management over enterprise IT. The COBIT 5 Framework describes seven categories of enablers that are listed in this interactive guide. Some of the enablers are also enterprise resources that need to be managed and governed as well.